Presented here is Tommy Lee’s personally owned Motley Crue McFarland Figurines set. 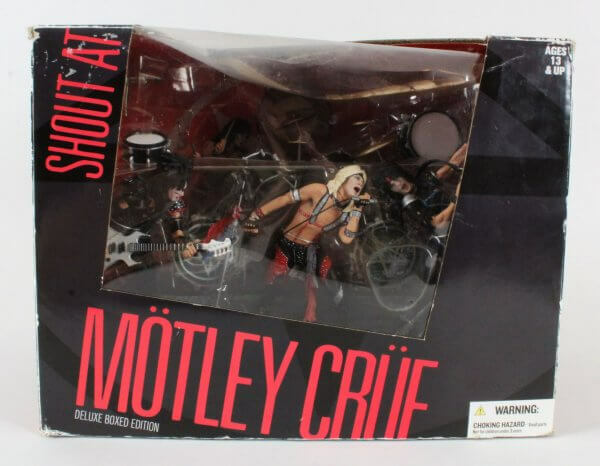 It is a Shout at the Devil deluxe boxed edition. The box is a little banged up but, all figurines remain perfect condition.